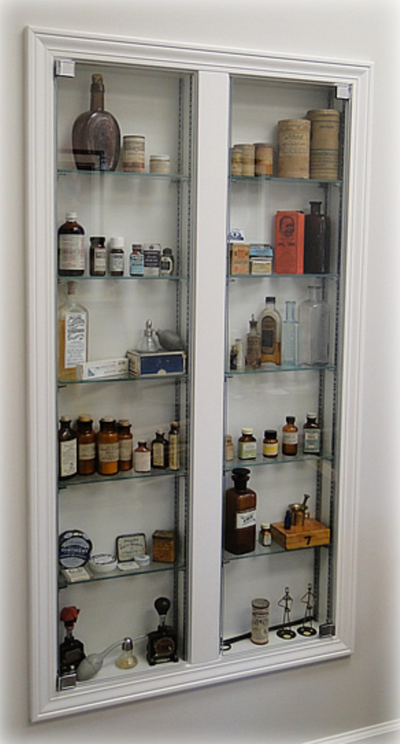 Our display case holding some of the older pharmacy items from the early days of the business. With the heritage of pharmacy in mind, the art of practicing pharmacy in an office setting keeps this tradition alive, which gives us the opportunity to serve our patients on a one-on-one basis, which we feel is important. Lewis M. Ferguson, RPh was inspired by a fellow pharmacist Eugene White from Berryville,Virginia who conceived and implemented the concept of an office-based setting pharmacy practice in the 1960's. In 1981, Lewis and his wife Patti, opened their own office practice of pharmacy and modeled it after Mr. White's. Their daughter, Anna, joined the practice in 1986 as a pharmacist. With the support of the community, as our business grew and the needs of our community changed, the need to move to a larger facility became apparent.